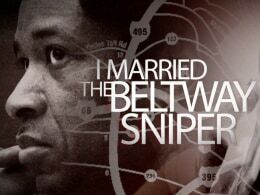 ‘I Married the Beltway Sniper’ - MSNBC Films brings viewers the inside story on the ‘D.C. snipers’ John Allen Muhammad and Lee Boyd Malvo. Interviews with Muhammad’s ex-wife Mildred—who had divorced him long before the attacks—tell of her former husband’s transformation from a happy father of three into a cold-blooded killer.